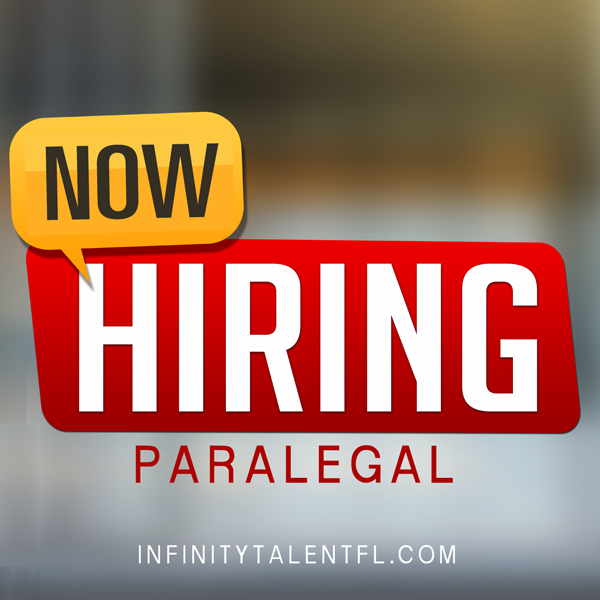 Tampa office of well-respected law firm seeks an experienced transactional/commercial real estate legal assistant with at least three years of experience working in a high-volume office. The primary responsibilities for this position will include reviewing amendments and exhibits for leasing documents. Additional duties include handling routine new client requests for Lease amendments, opening new matters and requesting conflict checks, reviewing exhibits and amendments, tracking status of outstanding amendments and following up with various signatures, contract amendment review to ensure all changes reflected in each version have the correct correlating exhibits, maintain client files in the firm database and document management system and interacting with client projects. The ideal candidate must be extremely detail oriented, organized, self-motivated, possess excellent communication skills and have the ability to multitask. Excellent Microsoft Office program experience and FileSite will round out a top-notch candidate for the position. Professional and collegial work environment with a firm with a sophisticated client base, competitive salary, and an excellent benefits package.